The Blade® brand and ImmersionRC have teamed up to deliver the cutting-edge Vortex 150 FPV racer with Spektrum™ technology. It's fully integrated, tuned and equipped so you can be competitive in a matter of minutes. Race-seasoned pilots can take advantage of a custom power system, cutting-edge 32-bit processing power and full-graphic jet fighter inspired OSD. Plus, there's a programmable LED system you can customize to flash at the competition. 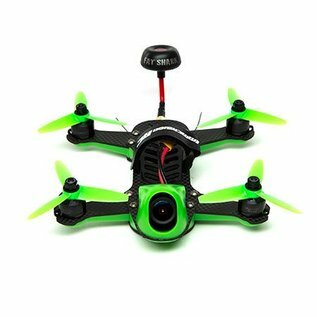 Perfect for smaller courses or exploring the backyard or abandoned building, it's durable and fun to fly. Fully integrated into this machine is the flight controller, full-graphic OSD, and 40-channel video transmitter. Loose wiring in the Vortex 150 Pro is virtually nonexistent for a professional look that's easy to maintain. The fully integrated ‘Tramp' video transmitter has all the bells and whistles. Support for all standard FPV channels and power levels from sub-1mW to >600mW. 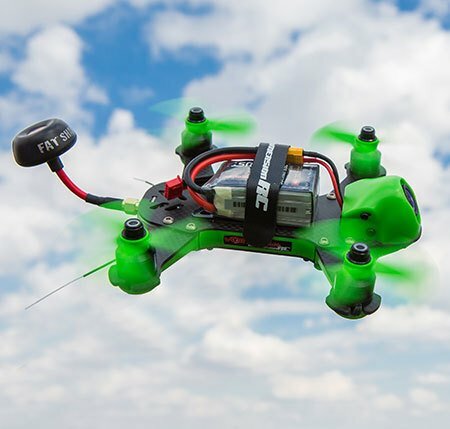 Dynamic Power Control, introduced with the Vortex 250 Pro, is taken to a new level, pre-take-off power level may be dropped to sub-1mW while waiting on the starting grid, saving precious battery power, and keeping temperatures low. After a crash landing the power level is dropped to a minimum to preserve battery life during the search and to help with localization using a directional antenna. Integrated into the Vortex 150 is a lost model beeper that's loud enough to be coined “ear piercing”. So if you ever cut loose, the ease of finding your Vortex 150 will help you get back into the game fast. 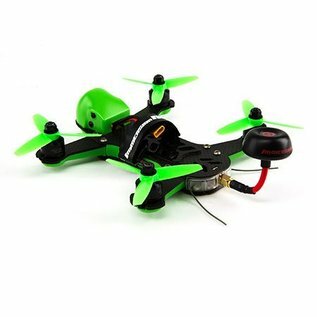 Custom 16-20A ESCs supporting all of the common standards provide regenerative braking, for crisp-responsive flight using CleanFlight, or BetaFlight. 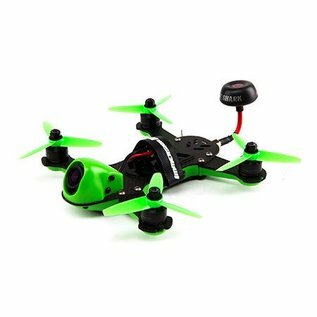 A 32-bit ARM processor runs each ESC, ensuring plenty of processing power to drive even the most fussy brushless motors. 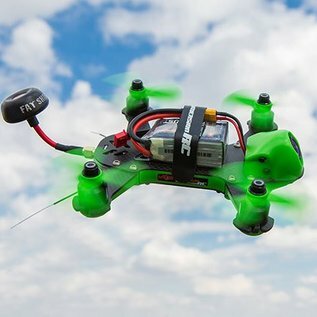 These third-generation ESCs include advanced de-sync detection critical for use with tiny brushless motors running at high rpms. Of course no ImmersionRC ESC would be complete without our innovative rotorSENSE, which programs prop direction with the flick of a finger. No more swapping motor wires. The custom high-speed V-Spec 1306-3100kv brushless outrunner motors feature a high-speed rating and spin 3" propellers for the punch to accelerate quickly and conquer the most demanding race courses.